Tye Engineering & Surveying has been serving customers in Bend, Oregon and surrounding counties since 1990 with old-fashioned customer service and high tech civil engineering services. Tye Engineering and Surveying, Inc is a small, local firm deeply rooted in Bend, Oregon. Our company specializes in a variety of Civil Engineering services, including commercial site development, residential layout and infrastructure design, and sewer and water systems. We have a full-service field surveying crew with the latest GPS, robotic and drone technology available to serve our clients’ needs. Our clients’ needs are our top priority and our professional team strives to complete work in a quick, accurate and efficient manner. We take pride in providing the best possible services while building lasting relationships with current and future clients. To meet with us about your next project, contact us today. 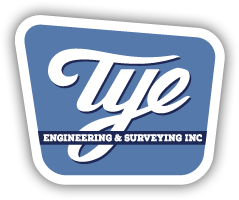 Tye Engineering & Surveying Inc.